It wasn’t even a week ago that developer Metalhead Software announced the official release date and pricing for Super Mega Baseball 2. Due out on May 1st, SMB2 will be sold for $30 on PlayStation 4, Xbox One, and PC. Since then however there’s been an exciting development for those on XB1. Microsoft has uploaded a video featuring the announcement of Games with Gold for May 2018. 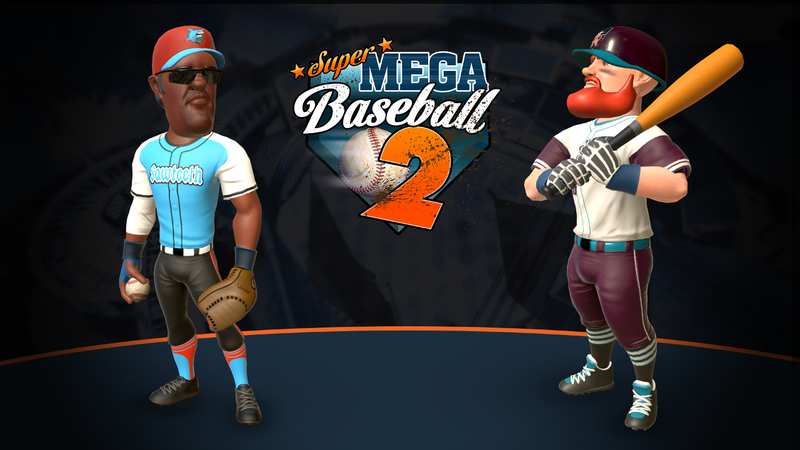 Super Mega Baseball 2 is featured as one of the two games that will be free to Xbox Live subscribers who download it on Xbox One in May. After the month ends the game will be sold as normal at the $30 price so anyone with interest should jump on it immediately. The news has not yet been made official by either Metalhead or Microsoft. The video is still unlisted, and typically the reveal of upcoming games doesn’t occur until closer to end of each month. [Update] Both parties have now officially confirmed the news. A similar strategy was employed in the past by Rocket League when it launched on PS4. Rocket League of course has gone on to become a tremendous success. Other games have attempted to go the same route with mixed results but have at least enjoyed the security of banking the money from the platform holder over the uncertainty of gambling on finding traditional market success. Offering the game for free initially can put it in the hands of those who maybe would have been unsure about committing to a purchase otherwise, and if good the word of mouth can spread as a result. Rocket League is the perfect example of that. Many are excited for Super Mega Baseball 2 but that doesn’t mean it’ll reach the wide audience that it probably deserves. An unlicensed game, and one that straddles an arcade-sim line, is naturally at somewhat of a disadvantage. This is a big move to make Super Mega Baseball more of a household name however, especially on Xbox One where – outside of the first SMB – fans of the sport has gone its entire generation without a legitimate baseball game to play.